Hey y’all! Does your dad ever send you emails with subject lines like “read this” or “look at this” with just a single link to some random article he ran across on facebook? Oh, that’s just my dad? 😉 Well, one of those articles he sent me I finally clicked on when cleaning out my inbox and it piqued my interest. 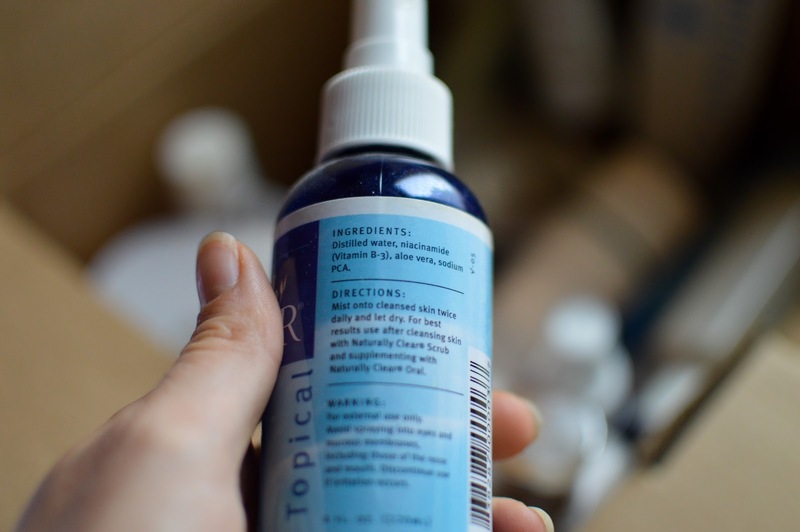 It was on skincare ingredients and hormone imbalances and it listed 10 common skincare ingredients to avoid due to their toxic nature. I’ve had the tab open for a few days and then yesterday my sister cleaned out our medicine cabinet and put all of my random bath+body products into a box. So, I figured now would be a good time to go through the products I’ve collected over the years and evaluate them based on their ingredients, tossing the ones that could be inhibiting my overall health in any way. Click here to read the article and see the ingredients. Or, google “skincare products to avoid” and you’ll get lists of 20+. Here’s the box. Cleansers, lotions, self-tanner, etc. Yes, self-tanner. I didn’t have time last summer to tan and I just felt better about myself with some summer glow… but would oddly get a stomach ache after I applied. 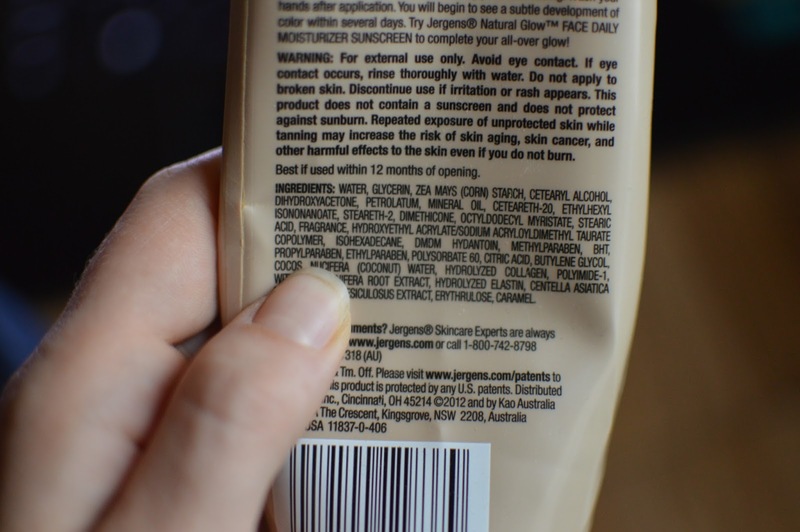 Now I know why… this stuff is full of parabens, petroleum products, and stuff I can’t even pronounce. 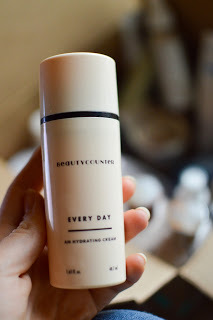 This BeautyCounter Every Day cream has SAVED my face this year in both the drying winter weather and now this summer with sunburn. The ingredients are trustworthy and a little goes a long way. Now, here’s an interesting item. 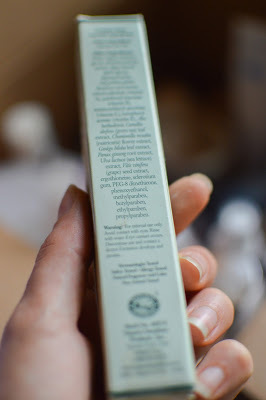 It’s an acne treatment gel in an eco-box with “nature’s” in the brand’s name, yet the last four ingredients are parabens. This Suds By The Sea handmade lotion passes the test! Ah, this hand recovery cream. When I was 15, I was hospitalized with pneumonia for a few days and a friend’s mother mailed me this as a get-well-soon gesture. 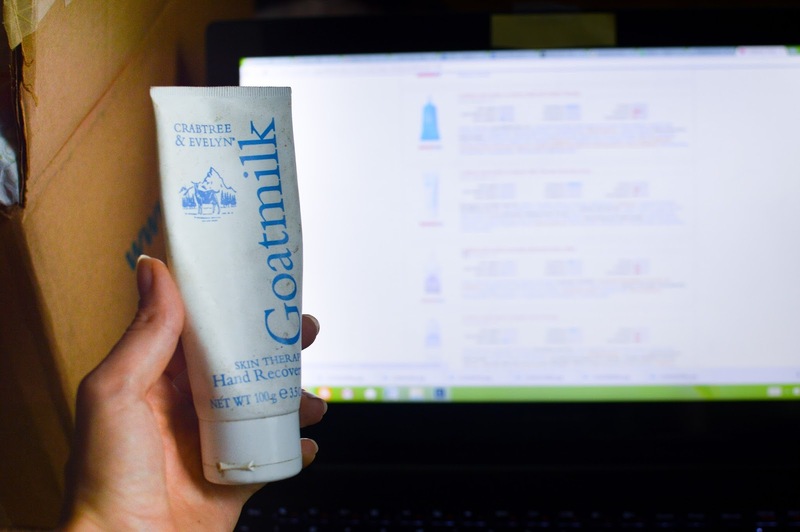 I have savored it ever since as the world’s most effective, most luxurious hand product. The ingredients weren’t on the bottle, but I googled them and found the list on Cosmetic-ingredients.net. Sadly, this stuff is full of chemicals. Heh, my deodorant! Super duper bad for me since it’s full of aluminum. But I haven’t found a healthy effective alternative yet. Yes, I’ve tried making my own. 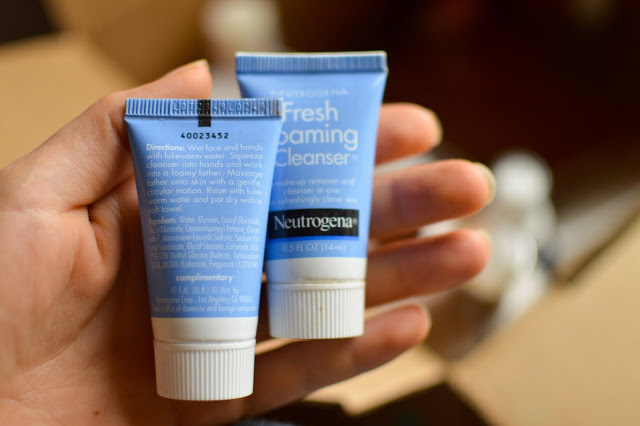 These are just little hotel samples of this cleanser. The ingredients aren’t too terrible (I looked the bad-sounding ones up) so I decided I’d keep em. Believe it or not, even Burt’s Bees isn’t completely natural. This bath oil I’ve had for over 7 years, though, so healthy or not, it’s time to throw it out. 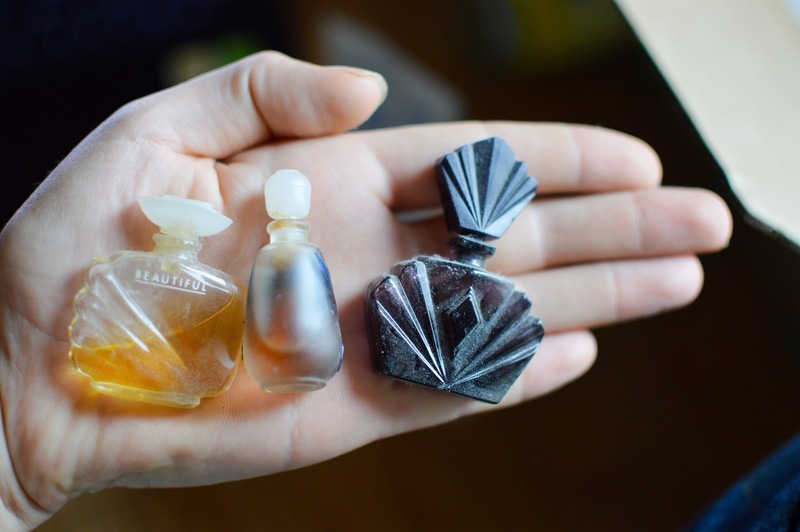 Your grandmother’s expensive perfume samples? So toxic. My favorite lotion through my teenage years. Sadly FULL of nasty ingredients. My costume glitter from Claire’s in 2004? Sadly probably full of bacteria by now. So, even though these products have served some purpose in my life in the past, it’s time to say goodbye in favor of something good for me. There are about 65 glands per inch of your skin that are the entry point for chemical compounds to enter your body. The skin really is the largest organ and not one to ignore. Here’s what I ended up keeping from that box. Some Frizz-Ease, a homemade make-up setting spray, my hand repair cream I’m too attached to, my amazing smelling Summer lotion that’s chemical filled, the cleansers, the lavender lotion, the Every Day cream, the nasty deodorant, and an Aveeno lotion that, although not perfect, is much healthier and more convenient than anything else I have, so I’ll keep using it. Ashley, have you ever heard of Nature's Warehouse (natureswarehouse.net)? They have some good, natural products. I've used a lotion from there already, but I couldn't find it just now…they probably have others as well. 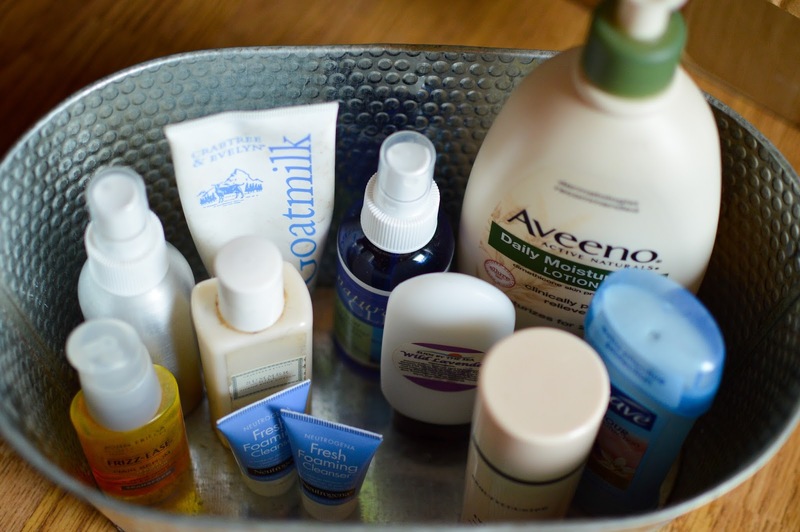 They may not be listed under lotions, but if you look at skin care products, they have some cracked skin relief, etc. And, Olivia, I think they have deodorants as well. Ashley, have you tried using jojoba oil or something similar? That's what I use as a moisturizer, but I don't live in the desert, so I don't know if it would help sufficiently in your situation. Olivia – yay! Will it be much different from the original? I have the original swimwear ebook so would I need to get the new one? Anonymous – thank you, I will look into that site. 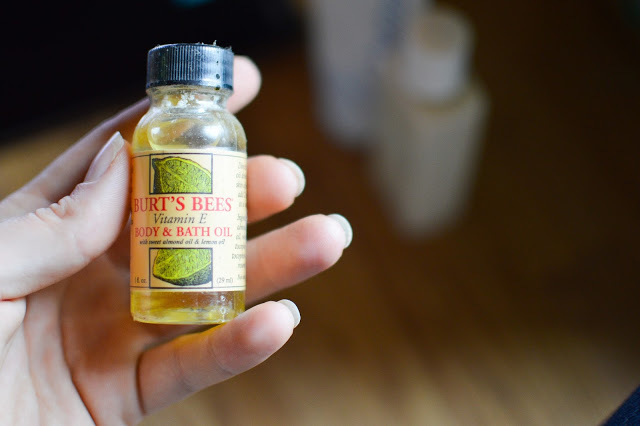 Juf – I used 100% jojoba oil for my face but the little bottle is expensive so I can't justify using it on my body. But I do love it for my face, my skin really likes it. If I could find it in a larger bottle for a good price I may just buy it to try it out. My mother's healthy alternate to lotion is coconut oil. I don't know if you've ever tried that, but that stuff works wonderfully! I love your posts about natural skincare/beauty/et cetera! It weirdly fascinates me how many products we use on a daily basis that can disrupt our hormonal balances and lead to weight gain and bad health. Have you tried Tom's (or Tom's of Maine) deodorant? I'm supposing it's been recommended to you before by a reader, so forgive me for sounding like a broken record if it has! 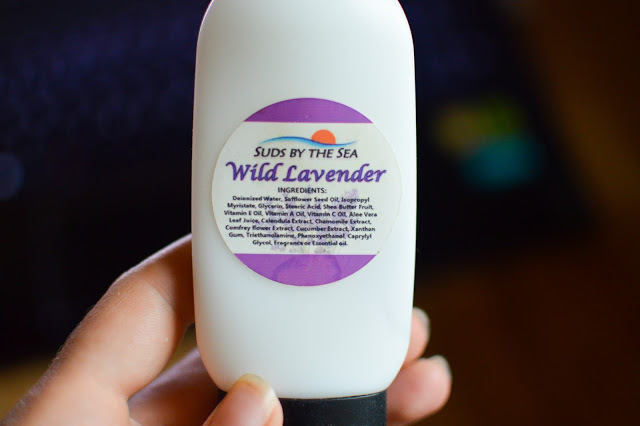 In case you haven't tried it though, it is aluminum-free, and here are the ingredients for the lavender kind (which is what I'm using at the moment, and works well for me): "Propylene glycol, water, sodium stearate, organic aloe barbadensis leaf juice, zinc ricinoleate, glyceryl laurate, natural fragrance, humulus lupulus (hops) [co2] extract, organic helianthus annus (sunflower) seed oil, ascorbic acid, organic cymbopogan flexuosus oil" (Amazon.com). I use Tom's deodorant too. I haven't ever looked at the ingredients, but my mom is very careful about getting natural things so I trust that Tom's is a good brand! I sweat a ton, so I have to carry around deodorant to reapply… I'm not sure if it's the deodorant or just me. But I wanted to say that, even though I use it, only putting it on in the mornings is not enough for me. We've also used Tom's toothpaste and soap. Please do more thorough research on these things. If you prefer "natural" products that is your prerogative, and I try to use them, especially when it comes to face products. However, the justification that an ingredient must be "bad" because you can't pronounce it or it is unfamiliar to you is not a logical one in the slightest. Also, it is unfair to the cosmetics industry to assume that they are producing goods that can ultimately be harmful in the long run. Doing so is not only unethical, but even more importantly (to the companies) does not make sound business sense from an economic standpoint. And toxic is a relative term – in high enough concentrations, even water is toxic. I like to peruse your blog on occasion, and posts such as these are one of the only things I truly dislike about it. I work in the food production industry and know people who work for cosmetics company, and frankly it is offensive that people assume we are somehow complicit in putting out products that are "toxic" or cause cancer. Finally, that article cited about parabens and cancer. A major issue that has been raised with it is that noncancerous breast tissue was not tested for parabens, so it is very possible parabens were present in both tissues, which would indicate parabens do not necessarily contribute to cancer. PLEASE do your own, thorough research on these issues. I have done my own research on these issues and just linked to these articles out of convenience. 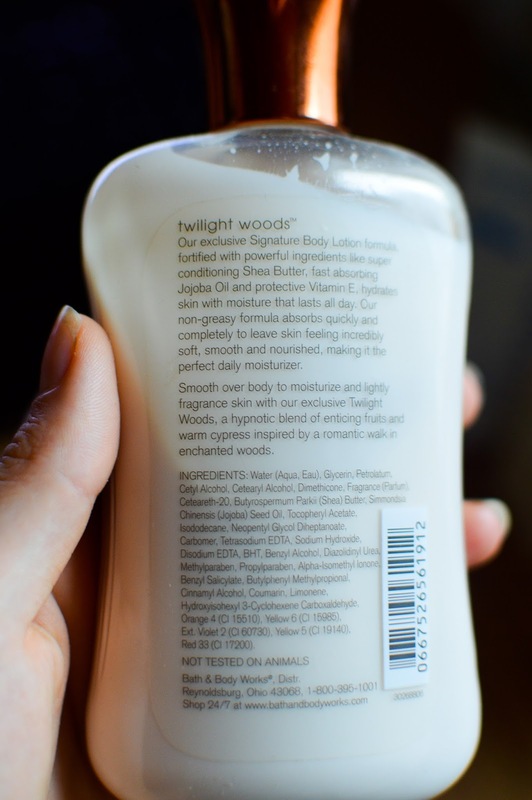 I know a lot of natural products have long, unpronounceable names so I don't use that as a guide, although it does help when just glancing. My goal with these posts is to share what I am personally doing to minimize my exposure to chemicals, not to bash the cosmetics industry. I think Olivia is just trying to be helpful. She does her research, lives like everybody else (with a little more care, because of her delicacy) and blogs it. It IS a makeup post, so it’s unrealistic to think that she WOULDN’T tell us that there are unpronounceable and/or toxic ingredients in products that are labeled “natural” and not tell us. 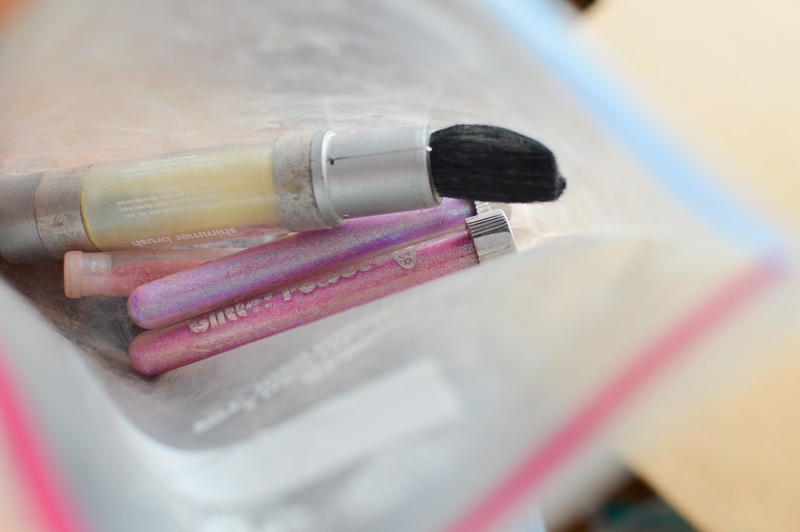 We all know that a lot of beauty industries like to call their products what they aren’t. So, no hate to Olivia. She’s super awesome, and telling us really nice information. She’s also prolly given up reading comments (kudos to you, Olivia, if you have. I would be too curious) because of the hate to her, when she started this as a resource for other people to use and gain information from. Be nice to Olivia y’all. I really like it. This one is the ingredients for the Thyme and Lemongrass (what I use) but they have many different scents. I'm really excited to see your third swimsuit option! I think you would love these products! My Mom got some for me and they are totally alll natural! If you do check them out I hope you do a post as well. http://www.radiantlyyou.com/common/clientCustom.asp?SectionID=1&UID=1000&guid=CAFAFDCE-DE9D-4CA5-A2DA-F7EAD5BF4F9B (and I am totally not affilated with them in anyway. I agree whole heartedly, Olivia! I've never been comfortable using products where I couldn't pronounce the names. Currently I'm trying out argan oil as a moisturizer, it's supposed to be a 0 on the comedonic rating. Hopefully my post might help with some alternatives to the not so good stuff. Btw-if you figure out the deodorant let me know! Wow, that was serious! 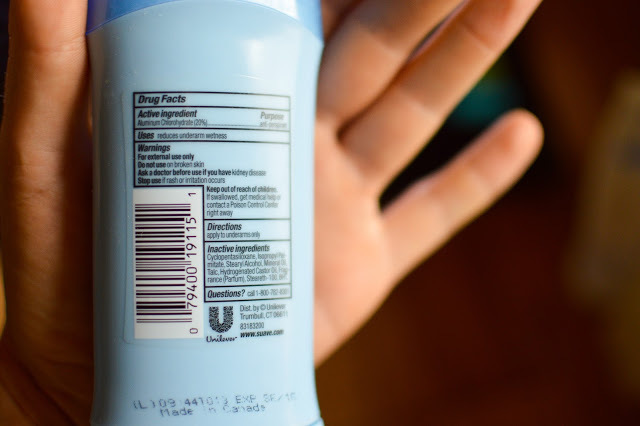 But you can get aluminum-free deodorant..? Have you seen this one before? This site is a cosmetics database that includes ingredient lists and information on all different products. It gives each product a rating based on how much of a hazard it is. It's helpful for looking into brands/products that you already use or ones that you're considering to buy. It doesn't always have info on smaller companies' products, but it still covers a lot. In the summer, when I sweat profusely I use straight baking soda as a deodorant. Its alkaline which neutralizes the acid in the sweat so I still sweat but it doesn't smell at all. I still use the bad stuff in the wintertime because the soda dries out my skin and makes it itchy. I am trying to figure out how to dissolve baking soda in some sort of oil to make an effective, non-irritating/moisturizing alternative….I'll keep you posted. Please be careful when researching cosmetic ingredients as there are many opinions out there and often very little factual information. I used to use all 'natural' products before I realised how difficult it was to do and that many 'natural' products weren't that natural at all as I believe you have found out here with the acne treatment. Having done a lot a research myself I have decided that there are some products that I am happy to use that others might not, although I must admit that I'm still mostly natural. Now I do make an exception about essential oil use on my skin when it comes to deodorant as someone else mentioned Primal Pit Paste is great I use both the original jar and a sensitve stick formulation from them and I've never had an issue with BO but then I can forget to use deodorant and I still don't really smell so I don't know that's much to go by. Similar to PPP is Schmidt's although I haven't tried it myself it has some pretty good reviews. If you cannot tolerate baking soda then there is Meow Meow Tweet deodorant. Lastly I would just like to say that I am not trying to say that your way is wrong and that my way is right I don't think that at all. Like I said I still use mainly natural products but I have had to learn a lot about skin care in order for them to work. My skin hates essential oiils and I cannot use anything with them in which is the majority of natural brands. I went through a lot of pain and discomfort when I went natural as my skin really didn't tolerate it well, too much perfume in the EO. 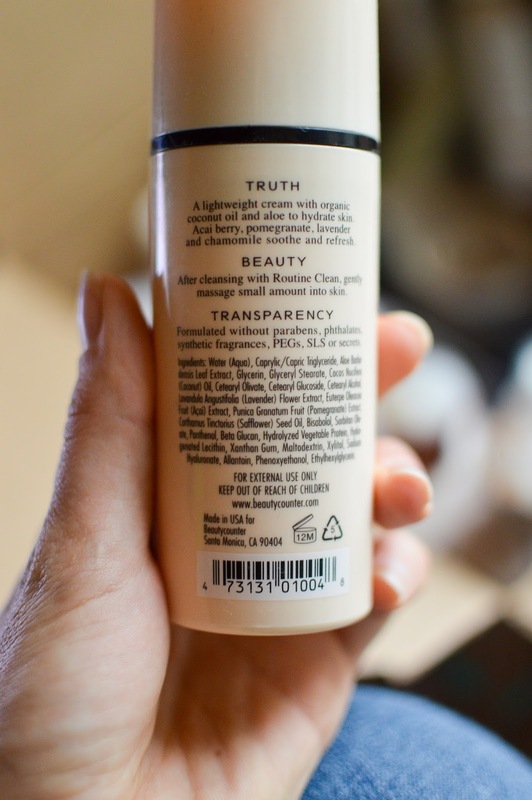 I now use Paula's Choice and EWG to work out the best products from both for my skin. I've never used essential oils, so that's good to know re: harmful effects of citrus and lavender oils! I love this post! I try to use natural skincare products as often as I can because I like to know what I'm actually putting on my body. I use a natural deodorant called Alvera All Natual and it is aluminum free. It works well for me and I like that it has ingredients I can pronounce. 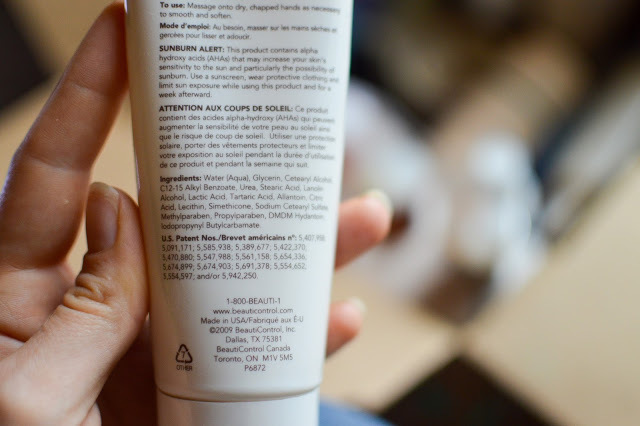 Lotion is one thing that I have trouble finding in a natural form and it is kind of necessary in the dry winter months. Olivia, my family and I use Neal's Yard Remedies Lemon and Coriander Deodorant and it works really well for us, even living on a farm and working outside most of the day. I didn't look too close to the ingredient label, but I don't think I saw anything on it that I didn't recognize. They are based in the UK, so I'm not sure how you would go about ordering it. We buy it through a distributor in the US, so I'm sure if you contacted them, you might be able to find out how that works. This looks so familiar, as I did a beauty product purge a couple of years ago. It hurt at the time, but I don't miss those old faves. Now I make almost all my own stuff. It's fun and safe, and I love the creativity of experimenting with essential oil scents and etc. Have you tried Tom's deodorant? I think it's supposed to be healthy. Great post! I have recently been learning about chemicals in our every day products, and it's scary what is in things that we use all the time! I have gotten rid of lots of stuff, but still have lots to find alternatives to before getting rid of! I really love Primal Pit paste. I use their strongest strength one, as that is what I need, especially in hot weather! 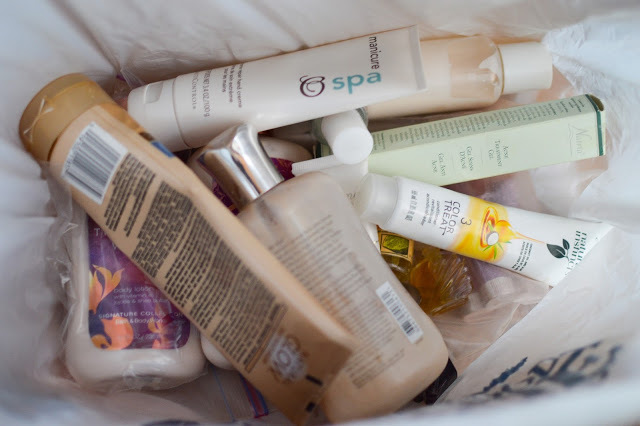 Thanks for this post, I enjoyed reading how you went through products and were able to clean up and throw out old stuff and stuff with chemicals you wanted to avoid. It reminded me that that's something I probably should do. I have to say I wish commenters wouldn't barge in all OLIVIA, YOU NEED TO DO YOUR RESEARCH, STOP ATTACKING THE COSMETIC INDUSTRY AND ALL THEIR MILLIONS OF INNOCENT EMPLOYEES, like please. That's not how I read this post at all. I also didn't think you were telling people to trash products based on ability to pronounce ingredients! I think you were simply telling us something you did in your everyday life which is exactly what I like to read and why I keep coming back to your blog. At the same time, you raised awareness about ingredients used in skincare and readers, knowing that you're a layperson who doesn't claim to be an expert in this area, can go ahead and use Google to find out more for themselves. I know it's not really relevant to this post, but I have a question 🙂 Where can I find modest yet inexpensive swimwear? I love the 2 you recently posted, but I am in need of a swim outfit in the next week (I'll be going to camp) and the ones you posted are a little expensive for what I'm looking for. So, I'm wondering if anyone knows of a store that I could just go to and buy one at that is not too expensive? Thanks so much if you can help! I am not sure what your modesty standards are but this is what I did and it was relatively cheap and in my opinion modest. I bought some exercise shorts with like legging material under them (target or walmart) and then an exercise shirt from target, and wore it over a one piece bathing suit. It isn't the most fashionable but it is modest and it works. I hope this helps! Thanks, Maggie! I'll keep that in mind when I go swimsuit shopping! Wow, I didn't know all those creams and lotions have all that bad stuff in it! I recently participated in a Mary Kay demonstration I got for my b-day where a Mary Kay consultant comes and passes out many skin care products, tells you what your shade of foundation/concealer is, and shows you what makeup looks good on you. We forgot to get before pictures, but we definitely got after pictures! It was a lot of fun, and I found out some things I never knew before like: you're not supposed to apply anything to your face with your pointer finger as that finger is the strongest finger and can easily damage the skin around your eyes especially. Also under your eyes you are supposed to go inwards toward your nose when applying so you don't stretch the skin, and over your eyes you go outwards. I also love the Mary Kay Botanical Cleanser, but I should probably check out those ingredients! Very helpful post!! Great post, Olivia! 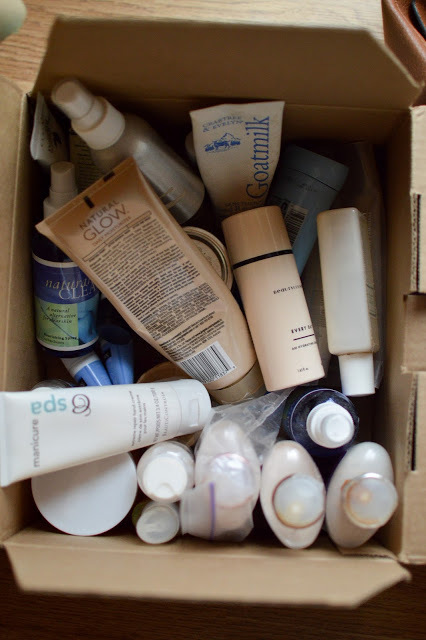 I recently did a similar cleanout with all of my skincare/hair produces (most of which didn't work anyway) and switched to fewer, but much more natural ones. The Naturally Fresh Deodorant Crystal that I use not only has only two ingredients (natural mineral salts, and aloe vera), but is also inexpensive, lasts at least a year (yes, one stick lasts a year! ), and, most importantly, it works great (when used correctly). And, since I work outside on a farm, in the summer, in south Louisiana, where it's feeling like 107F already, I think I can give it pretty high praise! You might also want to check out Nubian Heritage produces. They're a bit pricy if you don't catch a sale, but every one of they're products that my family and I have gotten have ALL good ingredients, smell naturally perfumy, and work wonderously. Hope this might help you out some! Thanks for keeping Fresh Modesty. 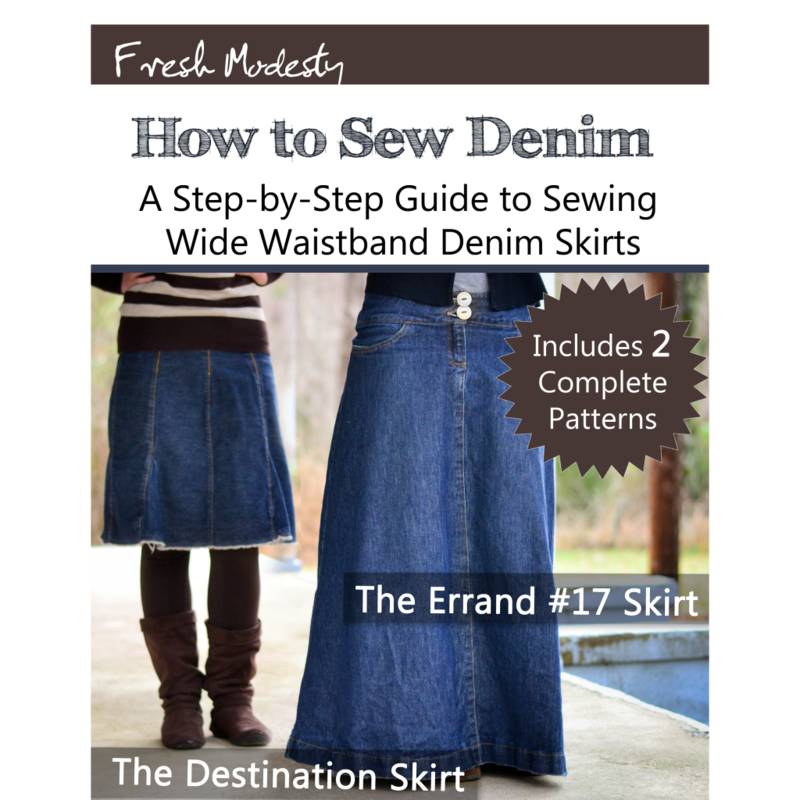 You prove so seemingly effortlessly that being modest doesn't mean dressing like a nun (!!!) or being frumpy. try herban cowboy for her…love their deodorants. 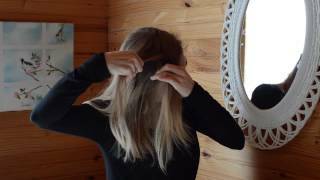 I did a similar routine with all the products that I use. I looked carefully at anything that did not have ingredients that derived from nature. There are natural chemical compounds that can be harmful and toxic too. But if you do careful research you can come up with products that are not laden with man-made chemicals and toxins that are non-toxic naturally. I have always been of the school of thought that G-d created things for us that are good and wholesome and that is what we should stick to! Thanks for sharing your journey. What sorts of ingredients were you trying to avoid? It seems like a tedious process…I order pretty much all of my shampoo, lotions, toothpaste, vitamins, from Melaleuca. I have asthma, and boy do I remember how bad it used to be when our house was bogged up with chemicals. Not fun. I don't wear much makeup, but I know that by putting 2 drops of tea tree oil in your mascara tube, you can kill those nasty eyelash mites that make your eyelashes fall out. Can I have your concealer recipe? I bought it from a BeautyCounter consultant who is no longer active. The moisturizer I’m using now is from TheHealthyFarmGirl.com and I love it just as much! Wow! I did not know how many toxic things you could put into a bottle!